Sticking to a daily routine, taking meds and coaching has helped her keep up the fight. 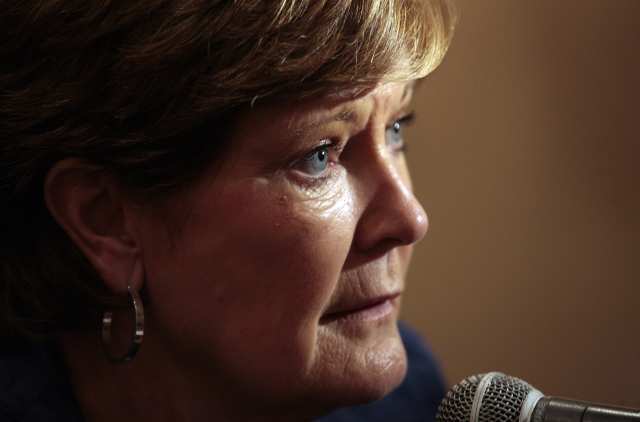 "I don't think it's slowing me down," Summitt said. "It's revving me up." "I expected everybody to ask me about it," she said. "It is what it is. We will move on." Glen Campbell: Alzheimer's? Is that what the doc said? I'm still sharp as a tack. Care UK’s ground-breaking training, which lets our carers ‘experience’ dementia, has been shortlisted for a national Nursing Times Award after the overwhelming success of a nine-month trial. More than 500 staff from nine specialist dementia homes and a day centre in Surrey underwent the intensive experiential training - which includes limiting their mobility and their ability to see and hear - in order to illustrate how people with dementia experience life. "It's a sort of whispered-about issue," said Alan Fleming, communications director. He said early-onset Alzheimer's is often a "last resort" diagnosis for doctors, however. They try to check every avenue before settling on the terminal disease. “Please don’t let me strangle my mother,” I plead silently as I try for the umpteenth time to coax her hand into the sleeve of her sweater. "I have visited with physicians and neurologists and I've been diagnosed with Alzheimer's," he told the audience during a newscast. Paul shared the difficult news with viewers who have watched him for years. "It was devastating," said his wife, Michele.